The inflammatory remarks from the pulpit of the church Barack Obama has belonged to for the last 17 or 18 years helps to fill in the blank slate that is Barack Obama. The image of Obama up until this point was of a smooth talking advocate for change who appealed to us to hope for better things and better times, and that he would lead America there as president. 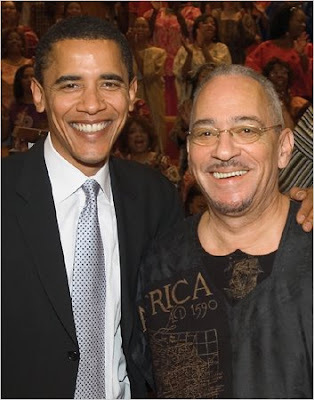 The radical, rabble-rousing speeches—and they are speeches, not sermons—of Jeremiah Wright from the pulpit of the Trinity United Church of Christ in Chicago, are not designed to help his flock become better people and better Christians, but to appeal to the latent and not so latent resentment within many in the black community over the long-dead institution of slavery, the whacko views of the far left on the 9-11 attacks, the juvenile concept that AIDS is a convention of white people to rid the Earth of black people and other issues from long ago, the dredging up of which preserves and fosters the development of an anti-white attitude in the black community that widens the racial gulf that blacks seek to narrow to gain equality. If this ultimately is the undoing of Barack Obama’s candidacy, which is the first best chance for a black president, is ruined by this revelation, America’s blacks can feel confident that the militant attitudes that they continue to fertilize and nurture are the reason. And to what degree does this militant attitude spill over from political rhetoric to action? Does this deliberate anti-white message influence black thugs like those who are accused in the killings of the two white college girls recently? If the black suspects are the killers, were those victims chosen because they were white, or was that a factor in their selection? That question produces an answer based on a high level of speculation, of course, but it is not nearly so wild a prospect as are the racist and idiotic rantings of the Reverend Jeremiah Wright and those who believe him.